Here are some Dyno results with the UniChip in place. Which led to removing it due to leanness... Then at the end there are some AFR #'s after removing the unichip. Is there a single pic in this thread showing the Turbo setup? No, I said I was driving to Indy in two weeks. I will install the turbo there while my friends shop creates the exhaust. 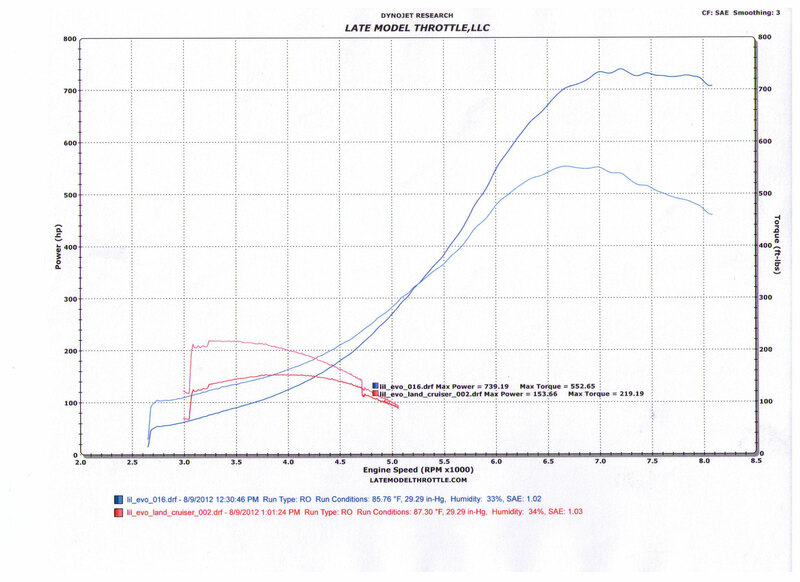 And for reference, here is a dyno pull from my truck while stock. (153hp/219tq) Good baseline to compare with the turbo swap. The other pull on the chart is an overlay of my car I dynoed the same day. cool, sounds abit 1j, is it full stainless? keen to see some flybys once the pipes are carbon'd up. cant wait to get mine done. Full stainless turbo back, TIG welded, all factory chassis brackets used. Looking great! So do you have a final parts list/configuration yet? I'm curious why your HP is low at 153hp- is that due to the usual 30% driveline loss? It was an all wheel drive dyno so that's what wheel horsepower is. Manufacturers rate the horsepower at the engine without any loss.